Participants are gardeners too at Day Away! 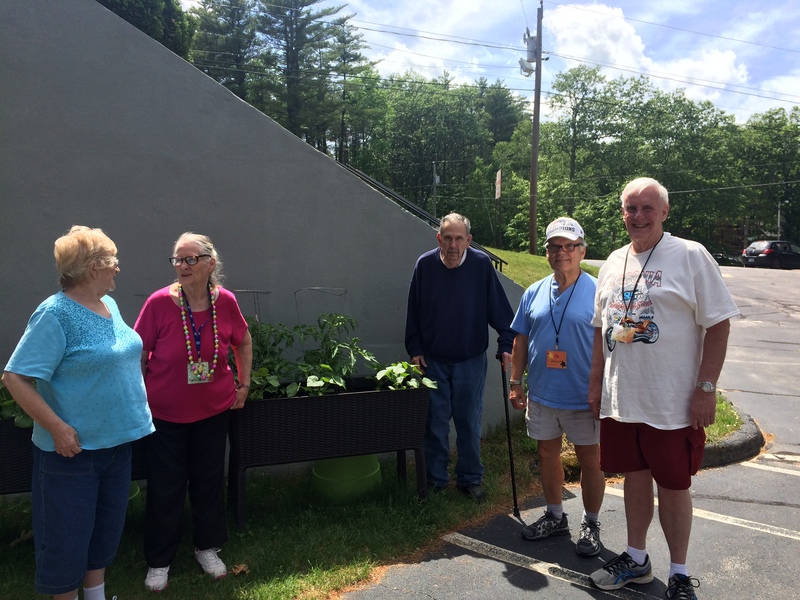 Thanks to the Knights of Columbus who donated the planters, the participants at Day Away planted a vegetable garden outside the hall. The vegetables and herbs will be incorporated into the healthy lunches that are made for them every week. Great job!! In the summer, we get outside to take in the fresh air as well as play wiffleball, and other outdoor games. We also enjoy an occasional picnic lunch outside if weather permits.